Credit bureaus are in charge of maintaining information about your credit history. If you are a resident in Canada and want to see the information that is on your credit report or if you want to learn more about your credit rating, you should contact a Canadian credit bureau. The three credit bureaus for Canada are TransUnion Canada, Experian Canada, and Equifax Canada. What is a Canadian Credit Bureau? 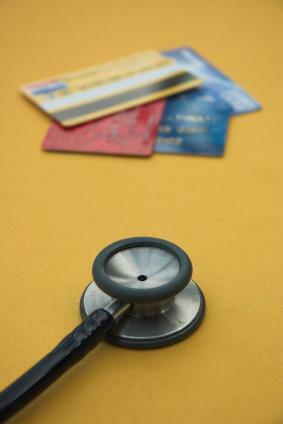 Credit bureaus are in charge of maintaining information about your credit history. Each Canadian credit bureau keeps detailed records about you, your spending habits, and your payment history. The information they store can be transferred to a report and obtained by various lenders, creditors, and other organizations who are trying to determine your creditworthiness. The main purpose of the report is to supply those who seek information with a standardized credit rating. This objective rating is meant to serve as a measure of how dependable you are, and will help others to determine whether or not you are a good candidate for a loan, a credit card, a job, or low insurance rates. In addition to offering personal credit services, TransUnion Canada also offers business services to help minimize loss and increase profits. For more details on the credit solutions for everyday consumers and businesses, visit the TransUnion Canada website. Experian has been in business for 40 years. They recently expanded the services offered in Canada by acquiring the Quebec-based Northern Credit Bureaus Inc.
Experian provides a wide range of credit reports and services to lenders and other financial service companies. This Canadian credit bureau also offers certain personal credit report services available to consumers in Canada, as well as fraud protection services. Although Experian does not currently provide a website for their Canada office, interested parties can find out more about the services offered in Canada on the Experian website. To learn more about the different types of services offered by this Canadian credit bureau, visit the Equifax Canada website. While some people do not like the idea of their information being stored, maintained, and reported, the modern credit reporting systems of a Canadian credit bureau are beneficial to everyone because they promote an objective system for consumers. Credit bureaus also make the process of applying for credit and loans easier because lenders and creditors are able to look over a standardized report and make almost instant decisions. This helps to keep credit costs low, which is good for consumers and good for the Canadian economy.